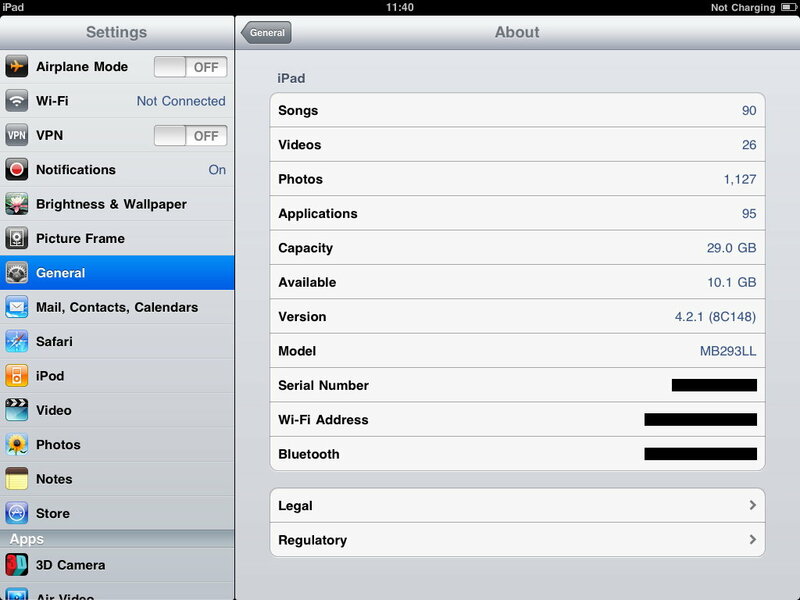 The release of iOS 4.2.1 is imminent, and the surprise is that with it comes the first free Mobile Me feature. Find My iPhone is now available to all iOS users without paying a Mobile Me annual subscription, and is easily set up from an iPhone/iPad/iPod using an existing or new iTunes account. Here’s a quick walk through of the steps using an iPad. From the Settings app, select the Mail, Contacts, Calendars tab then tap Add Account. 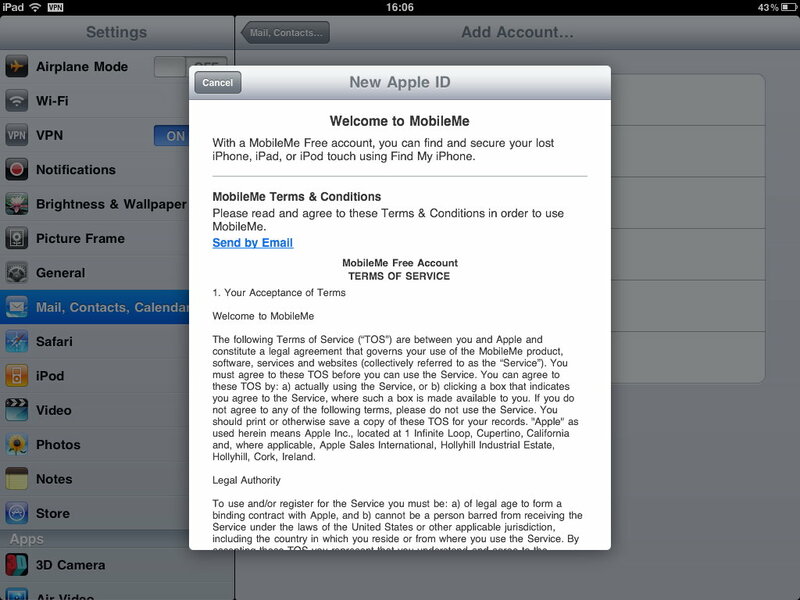 Next tap mobileme and enter the AppleID and password of your existing iTunes account (or create a new one). 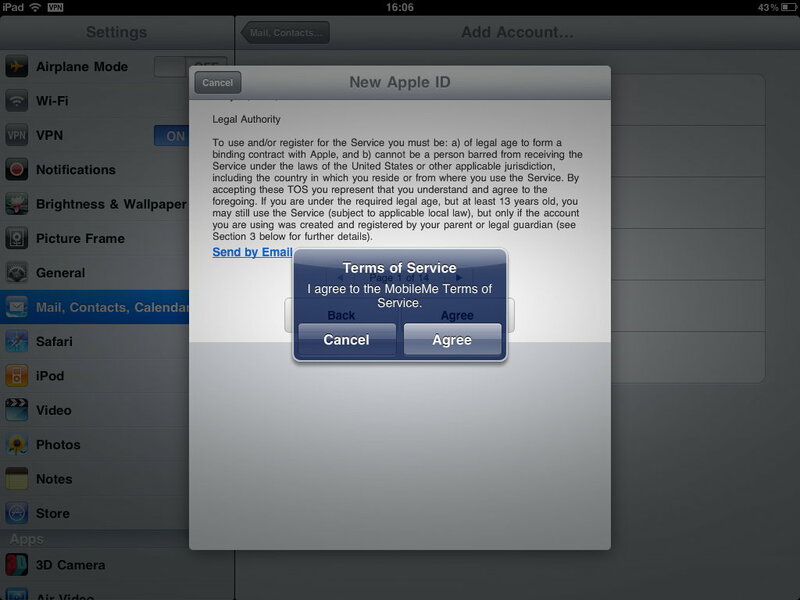 Scroll through the disclaimer and agree to the terms of service. Find My iPad now appears as an option under the MobileMe Account(in the Mail, Cotacts, Calendars Tab), and works just like the feature of the paid for MobileMe service. The device can be located by signing into your account at me.com, or by using the Find my iPhone iOS app. This is certainly a nice freebie to encourage all iOS users to upgrade to 4.2.1, and hopefully its the first step toward free MobileMe accounts for all Mac/iOS users.